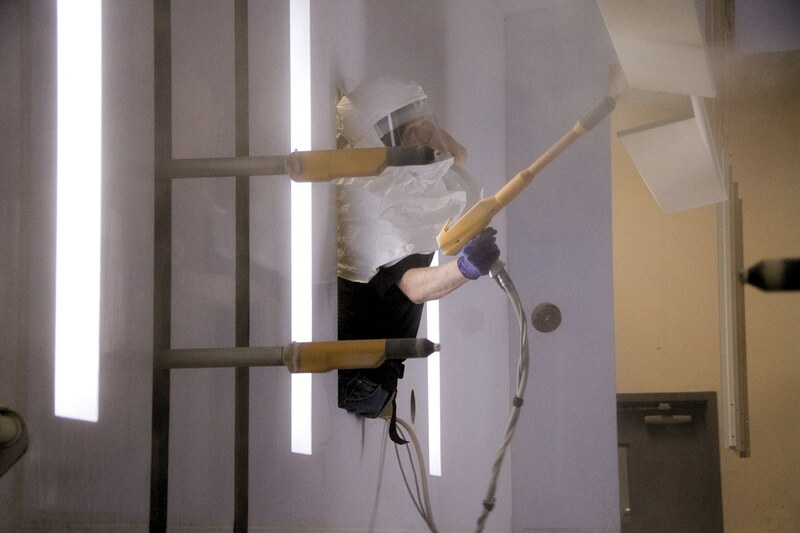 The backbone of our state-of-the-art powder paint line we use for metal enclosure powder coating consists of a dual tunnel, six-stage zinc phosphate pre-treatment system. The metal enclosure powder coating system utilizes two conveyors; one is a power & free conveyor for large or complex parts and a single track conveyor for higher volume parts. 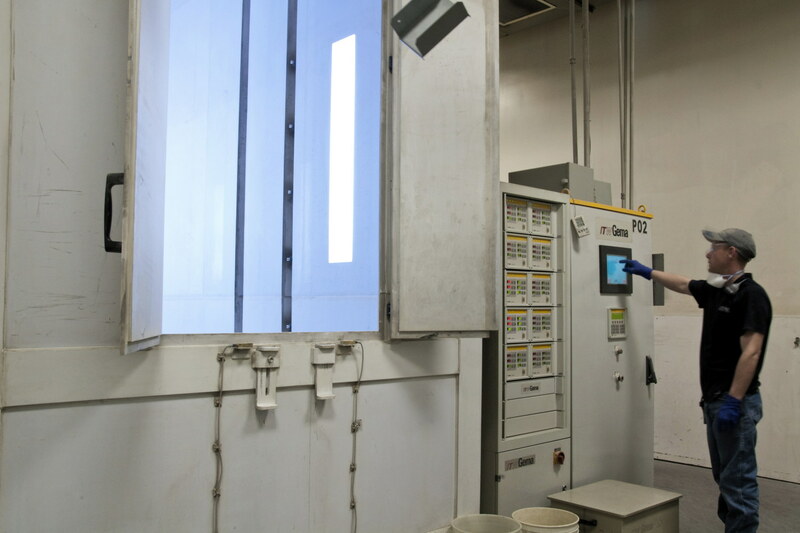 Also included in the powder paint line is an in-line dry-off oven, three paint booths and an in-line curing oven. The paint system exceeds GR487 and IEEE painting quality standards. 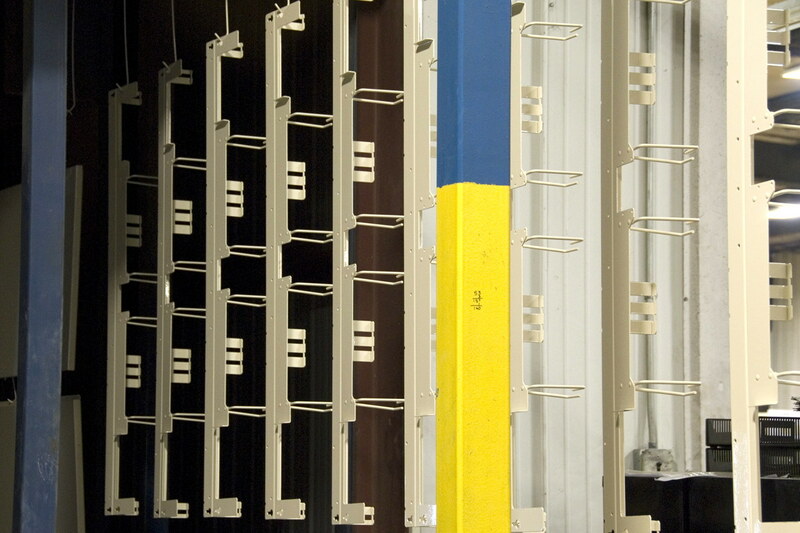 We have the ability to powder coat carbon steel, aluminum and galvanize in any color or texture and many popular colors are in stocked to support quick lead-times. 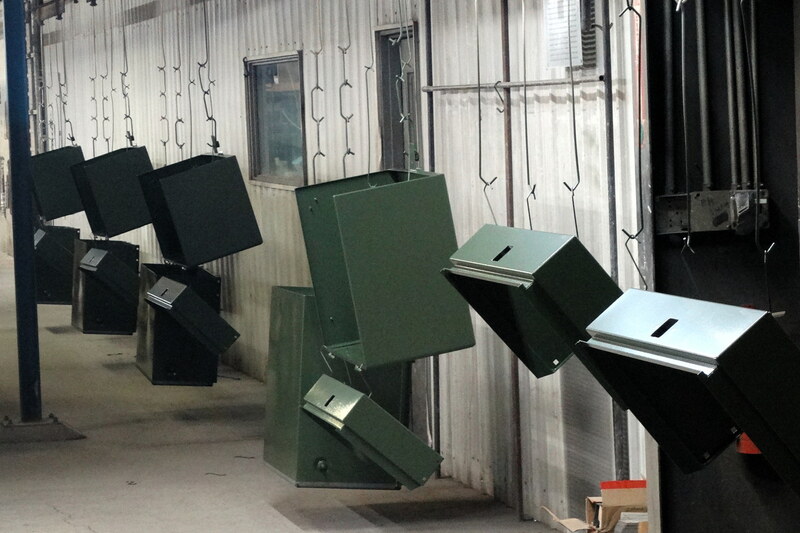 Our powder paint line handles parts up to 36 inches wide, 120 inches long and 72 inches tall. 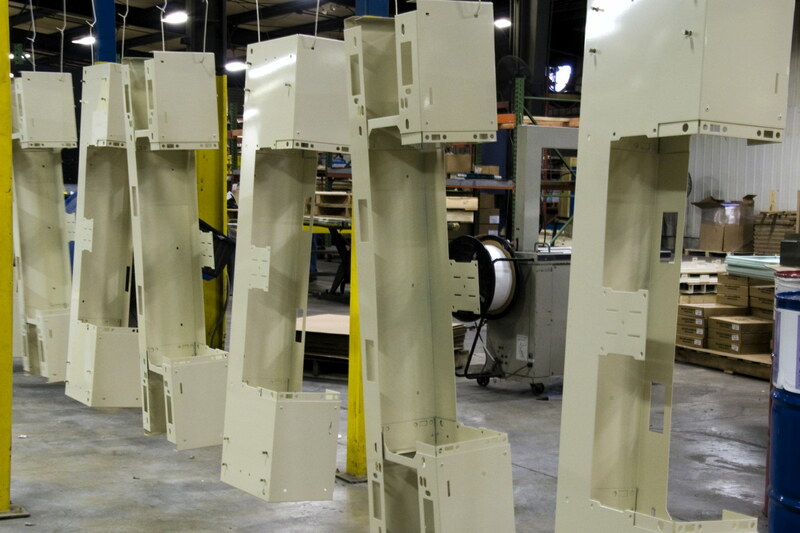 Our state-of-the-art powder paint line handles parts up to 36 inches wide, 120 inches long and 72 inches tall. 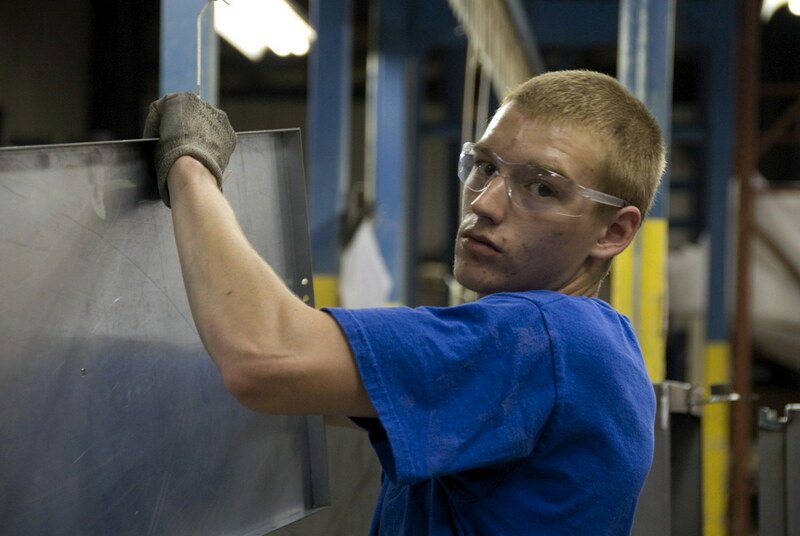 The paint system includes two parts conveyors, an in-line dry-off oven, three paint booths, and an in-line curing oven. 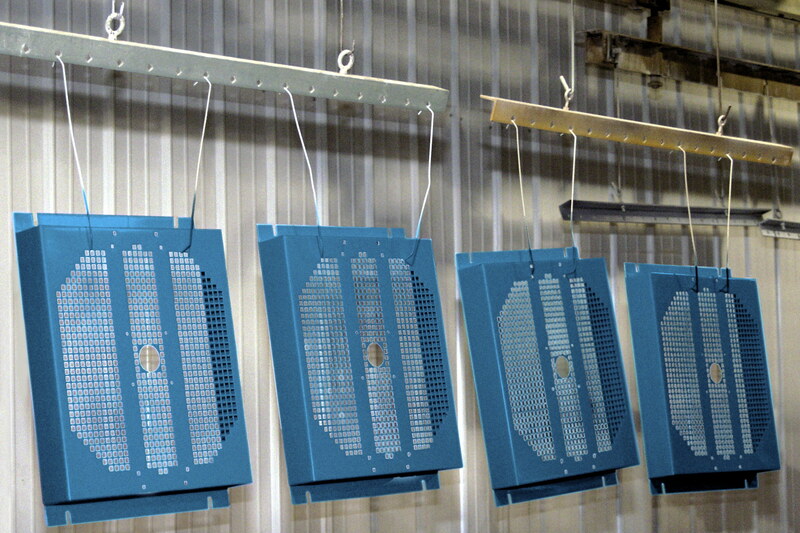 We have the ability to powder coat any color or texture. Many popular colors are in stock.